They are all adorable! the pom pom one was my favorite! 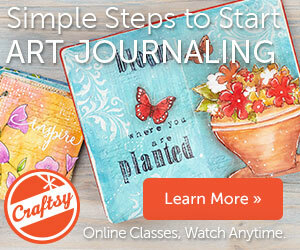 love to watch you inspire so many ways to make cards. So hard to choose one favorite from all these beautiful cards but I think my favorite would have to be the shaker card. It’s such a great winter kit. Thanks for the opportunity to win it! All of the cards are fun but I’m going to have to pick the penguins in love card as my favourite. 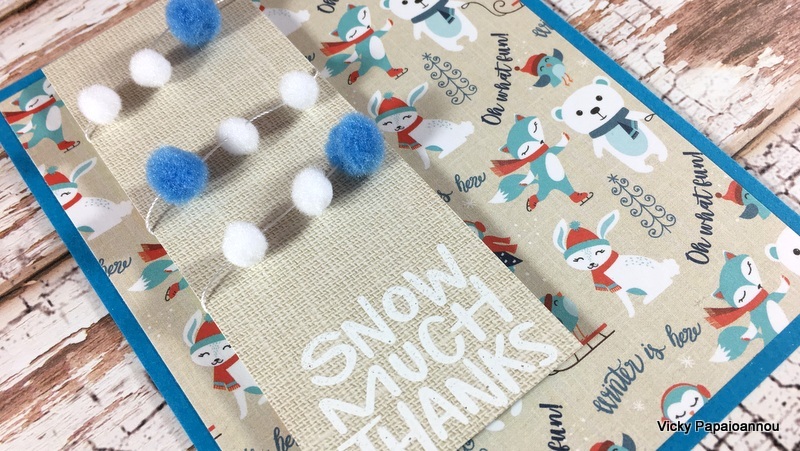 Thanks for always sharing such great ideas with the kits! 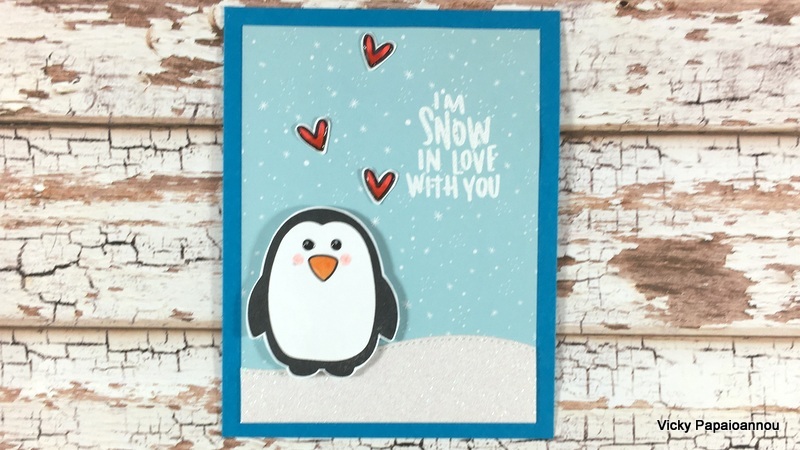 I love all these cards, but if I have to pick a favorite it would be the Penguins in Love card. I can’t resist those adorable penguins and I love the sentiment. This release is wonderful! Your little dancing skater is so cute and my favorite is the dangling pom poms. 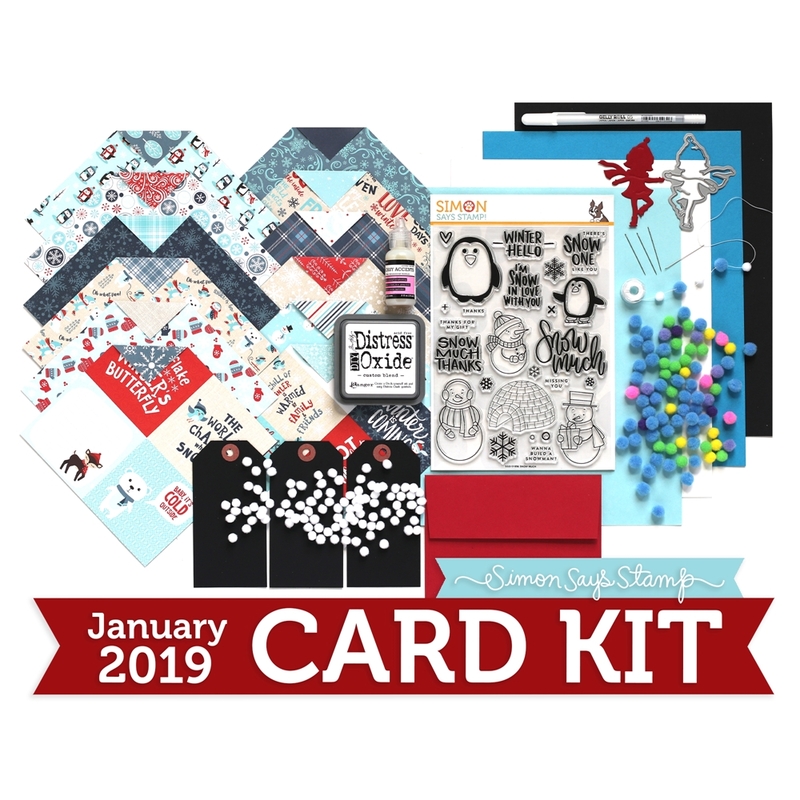 Love your cards and this kit. I can’t choose between no 4 and no 10. They are all very lovely. It’s very inspiring to watch your videos. Vicky I am always impressed by your creative shares ..you are so tasteful . For me if I had to pick just one number 5.. warms my heart..I cant wait to your next video! I’m so sorry, Vicky, but…. I can’t choose one favorite! I love the three window card, but I love the two pom pom cards, but I also love the spinning skater card…As usual, they are all beautiful. 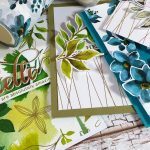 The pattern papers in the kit are all awesome! My favorite card is no. 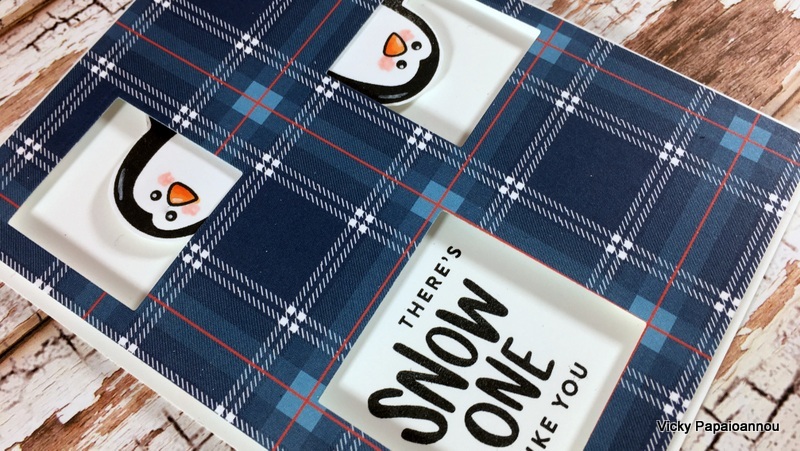 10, the plaid card. Just love watching you create. Vicky, I love your 10 cards videos! I get this kit and you so inspire me! 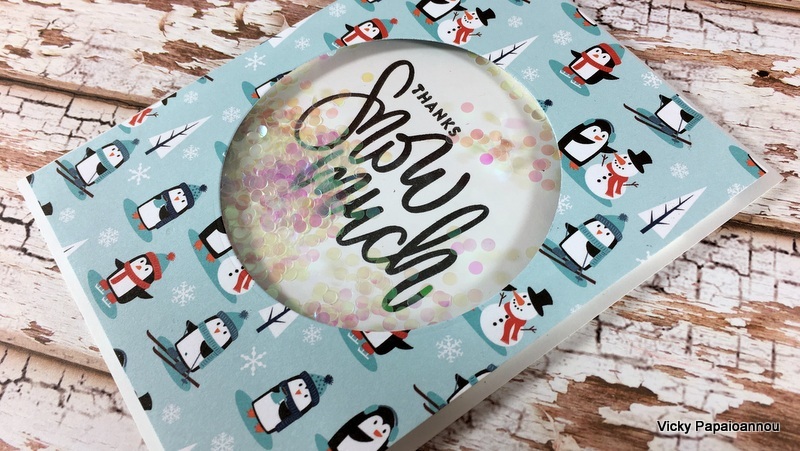 It’s difficult to pick a favorite, because I love the cute penguins, snowman and little skater! All are just beautiful! You make the cutest cards! 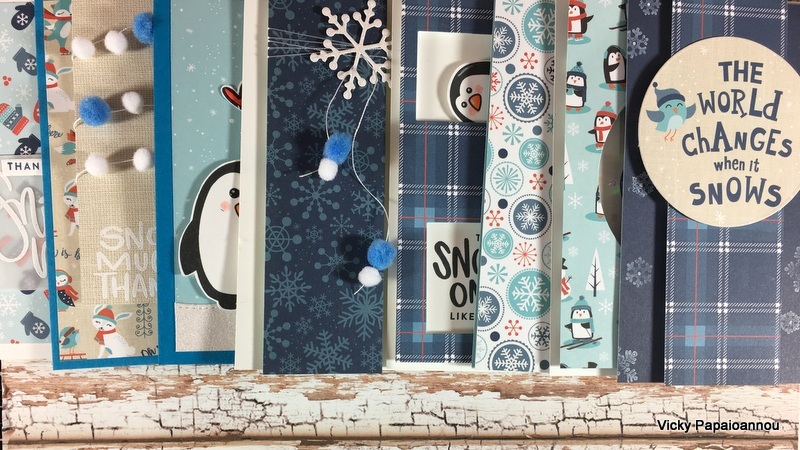 My favorite is the snowman card! 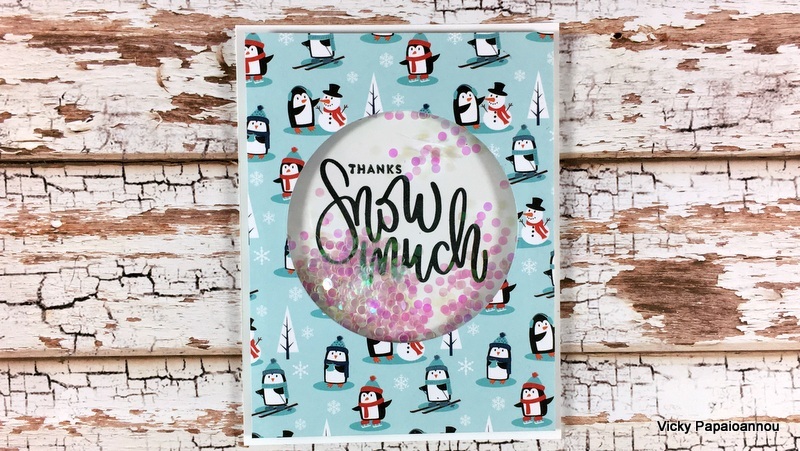 Such fun winter cards!!! The penguins looking out of the windows is my favorite card…but it is hard to choose! I appreciate the excellent winter card ideas! Thank you!! I really like #7 the snowman card. All your cards are fun and I love watching your videos. 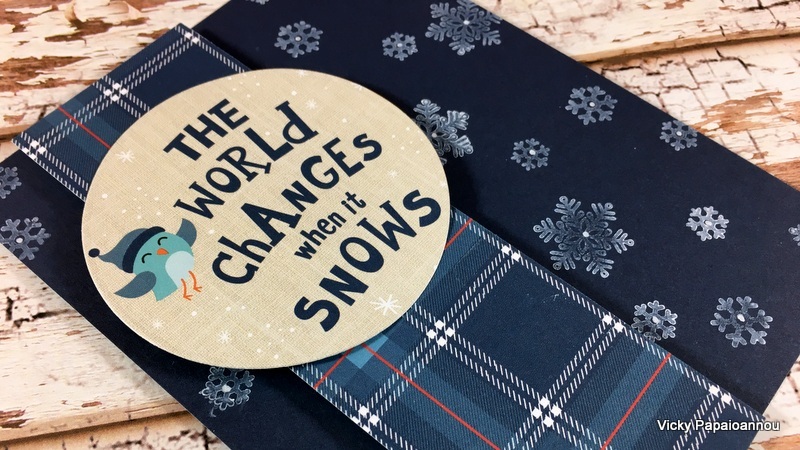 #10 the plaid card. Love watching you make all your cards. 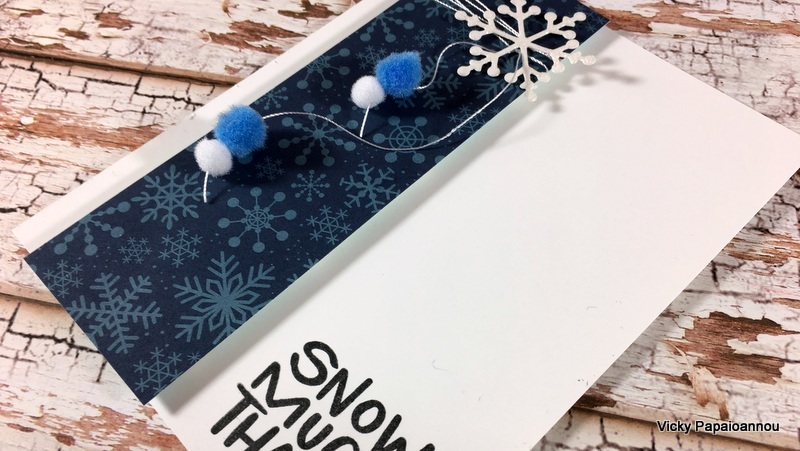 The peekaboo card is my favorite, and I also love how you use pompoms. 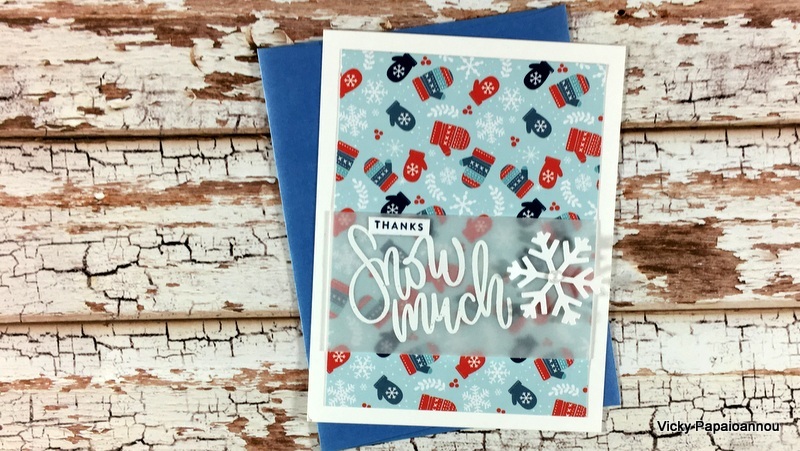 As always, you make terrific cards look easy! I am always amazed at the variety you are able to create from one kit. Something for everyone’s taste in cards, every time you do these. Thank you for sharing your creativity to inspire others not as gifted as you are. I always look forward to see your 10 cards ideas. I’m not good at putting thing together, but when I see your ideas it help me a lot. All of them are so cute but I love penguins for Valentines cards! Good idea! You inspire me!, fabulous! 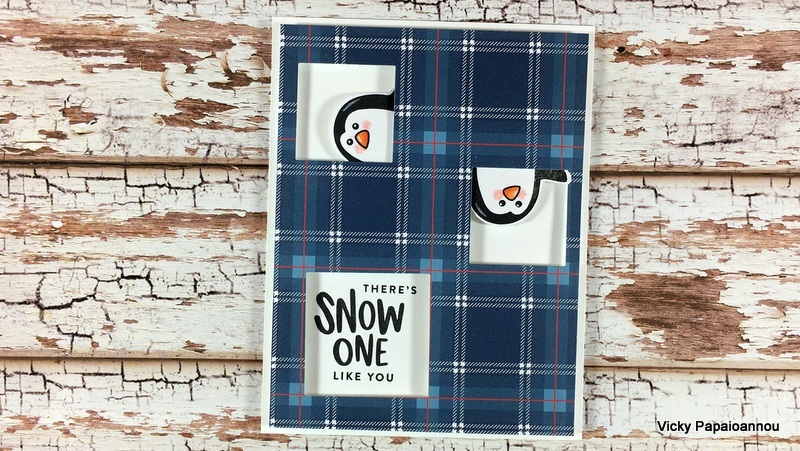 The snowman card is my favorite although they are all adorable. I like him because it’s just a small thing cutting around one side bit adds so much! Thank you for your inspiration!! Hi Vicky your cards are really stunning but my favorite is the shaker card, just like you I like shaker cards. Thanks for sharing your ideas. I also love the interactive cards. The little spinner girl is so cute . so cute!.. I love the penguins looking through the windows.. and also the snowman that you cut half out!.. I never thought of doing that! I can’t wait to try it! thanks for the inspiration Vicky! My favorite was the snowman! It blows my mind sometimes how much you think outside the box. And i love watching you because you help me think outside the box too. 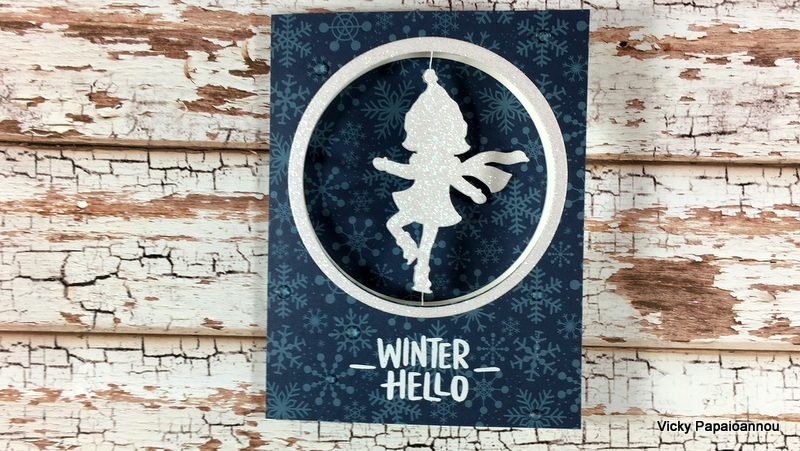 I loved all the cards, but my favorite is the twirling skater spinner card. Thank you for all the inspiration! I love the penguin couple. 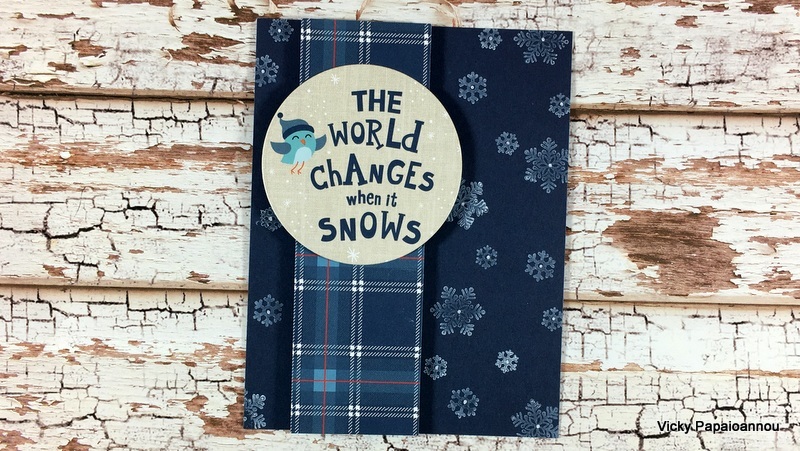 Loved the spinning skater, but the plaid card was also really great. What you can do with plain paper is pretty amazing. Inspiring. Makes me want to pull out a little paper pad and see if I can do it too. 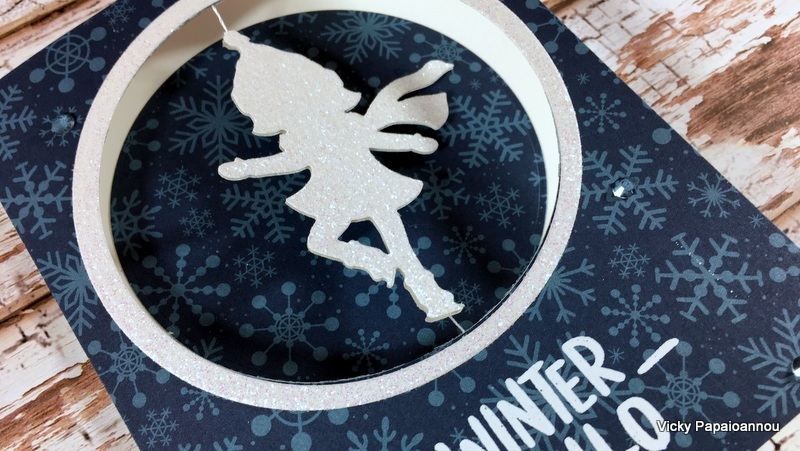 Wow, Vicky, you make card making look so easy, yet they are so beautiful…I think I like this kit most of all compared to last few. thank you for posting. I look forward to your videos. Hard to choose, but I think the spinning skater girl is my favourite!, I can just see a little girl spinning and spinning! I loved all the cards. 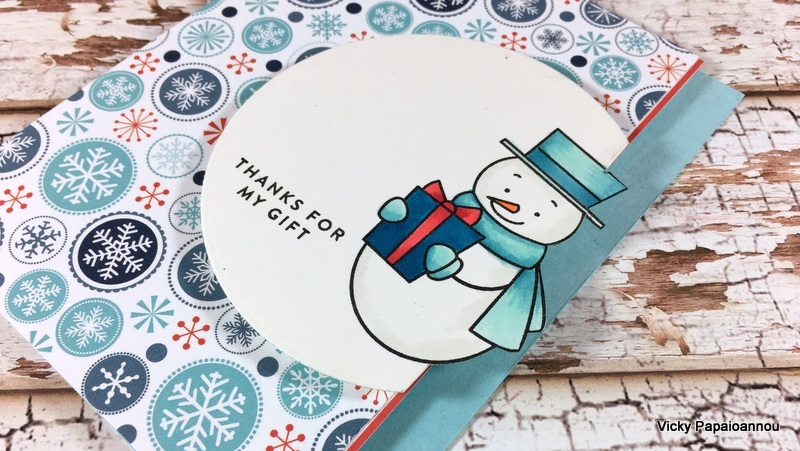 But I think I’m more partial to the 7th card, “Thank you for my gift” snowman card. Thank you so much for inspiring, and sharing. Vicky, they are All beautiful. My favorite is the spinner card, but then all others too. 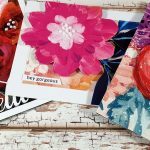 I am always so amazed how creative you are and how beautiful all your cards turn out. Thank you for sharing your gift; I have learned so incredible much from you! Always tough to choose a favorite. 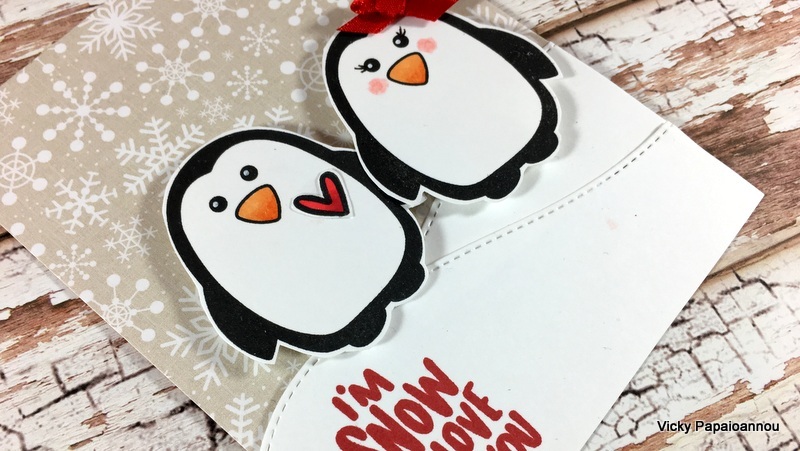 Love the pom-pom cards and I think I’ll be making my husband a valentine with penguins like yours. Thanks, Vicky! As always, you do amazing work! I love the snowman card. 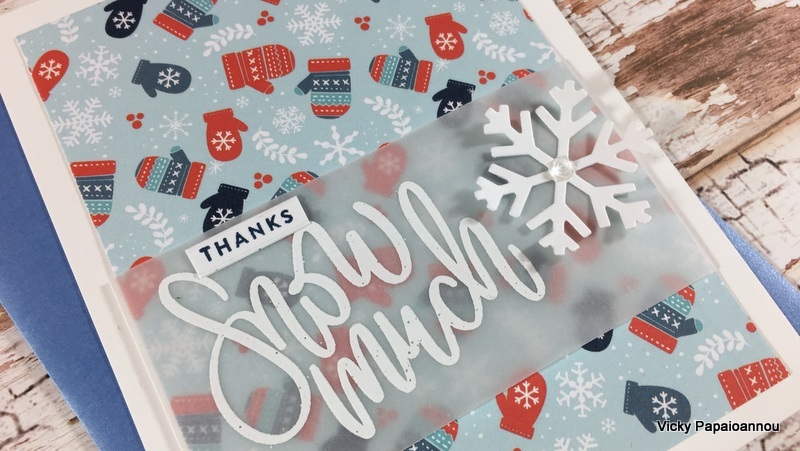 It’s always important to express our gratitude and that card just reminds me of that. Thank you for sharing your amazing talent! 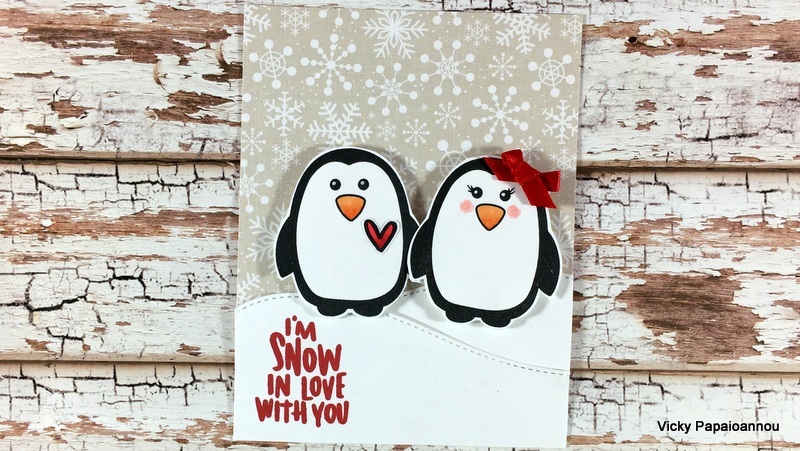 I love the penguins in love card ! Thanks for the giveaway ! 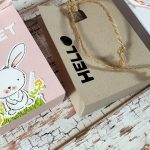 All the cards are great and inspiring Vicky and to pick one is difficult, but as always there is a favorite and that is the the Peek – A – Boo card. So cute and I love that you put one pinguine upside down, I would have never thought of doing that. Thank you so much for the time and effort to share. 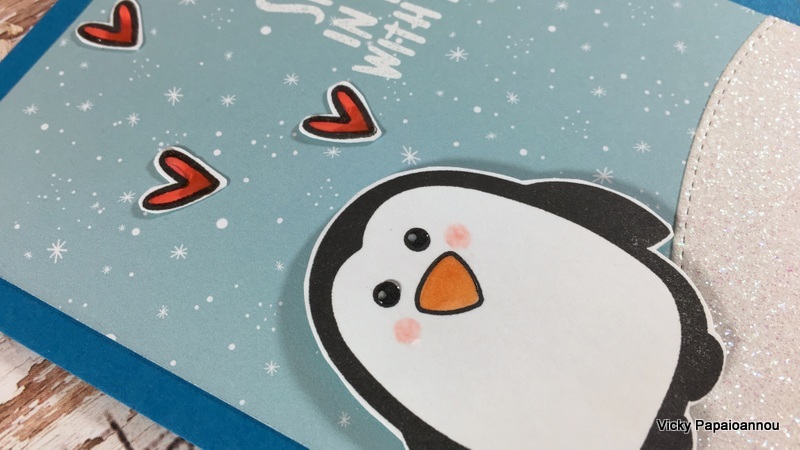 Loooove the Peek a Boo card with the penguins that is so fun. but it is so hard to choose from all the fantastic cards you have made. 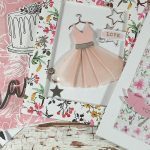 You are so inspiring you make card making look so easy and this is a really lovely kit to work with. They are all super cute. I like #5 peak-a-boo the best and #6 the penguins a close 2nd. As always, great inspiration. My favorite card card is the two penguins. It’s just so adorable. They look like they are snow much in love!!! I check my mails everyday just to make sure……. and there you are! You are such a great inspiration in my life. Thank you for always sharing your talents with all. Thank you “SNOW” much from a very hot sunny South Africa! Love your cards. This kit is fantastic. Hi! The colors are so beautiful and so winterly😆. 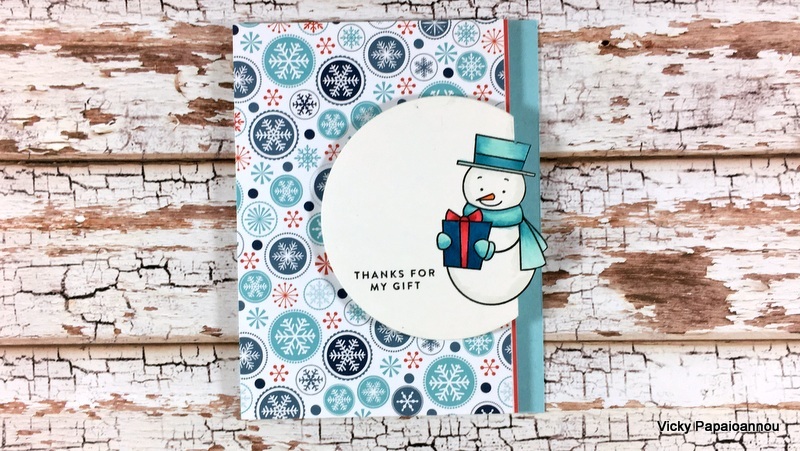 I like card 7 with the snowman. 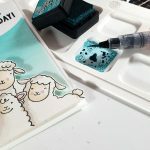 They are all cute and the kit is so fun to make al these cards!